It is also an opportunity to further demonstrate pharmacists’ value to the public. We must not miss this opportunity. 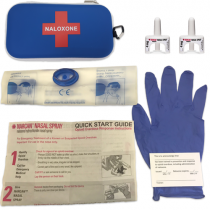 Marchese Pharmacy has been an advocate for the de-stigmatization of harm reduction supplies and an innovator in providing Naloxone training for pharmacists, community groups, and the public. We offer kits, guidance, and support Ontario wide. Please check out our Frequently Asked Questions Page for additional information. 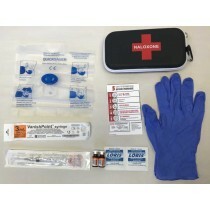 Naloxone (Narcan®) spray kits will come in blue and injectables in black unless you contact us to request differently. If you wish to have your training cards personalized with your logo you can upload your logo file while adding to the cart. Please note Naloxone products are ineligible for all site-wide coupon code discounts.